Iced Pink Punch Lemonade is a delightful blend of vibrant pink lemonade finished off by icy menthol. Twist E-Liquid's nicotine salt formula adds an extra level of satisfaction to every hit you take, making for a super smooth hit. 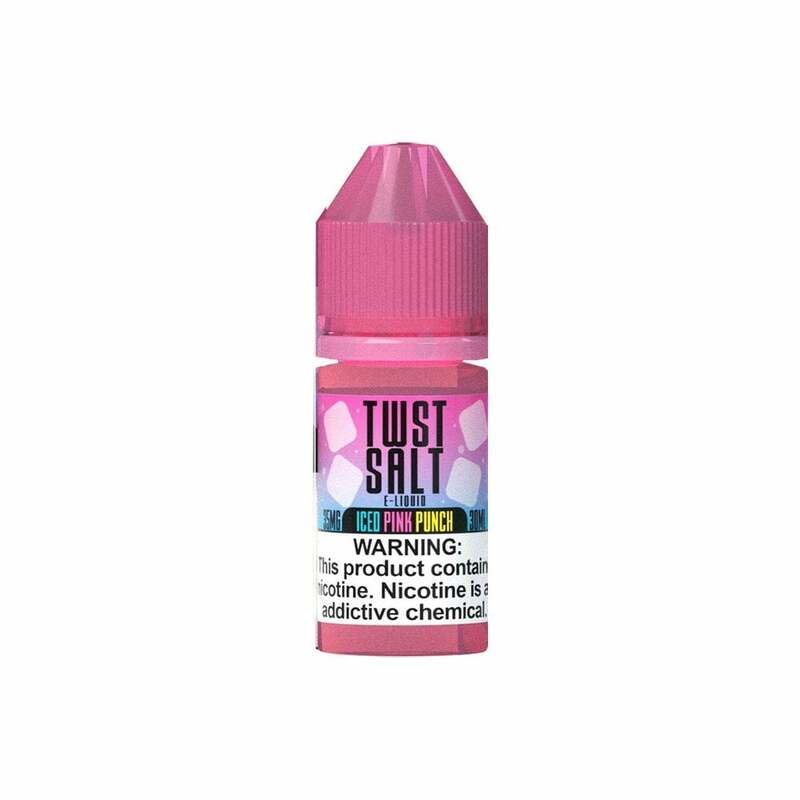 Iced Pink Punch Lemonade nic salts from Twist E-Liquid is available in 50mg (5.0% nicotine) and 35mg (3.5% nicotine) and are compatible with your favorite pod mod. Very lemony, kind of sweet, with a kick of menthol. The lemon is more like lemon zest than lemon juice but that helps cut the sweetness. I use a Breeze 2 and get good cloud with easy draw/exhale. I absolutely love this salt juice. Not too powerful but just enough!! Will be ordering again! One of my Favorite Flavors! However- its very sweet. So if your not into a sugary juice this ain't it for you. Nice fruity flavor light on the lemon more on the punchy flavor. Menthol gets lost in there but its enough to cut through the sweetness. Just adds a touch of freshness so you don't get sick of vaping it all day. But overall VERY flavorful. Fantastic flavor. It actually tastes like lemonade! Great taste and burns good! Even better is the delivery time! It tasted exactly as promised and works very well! !